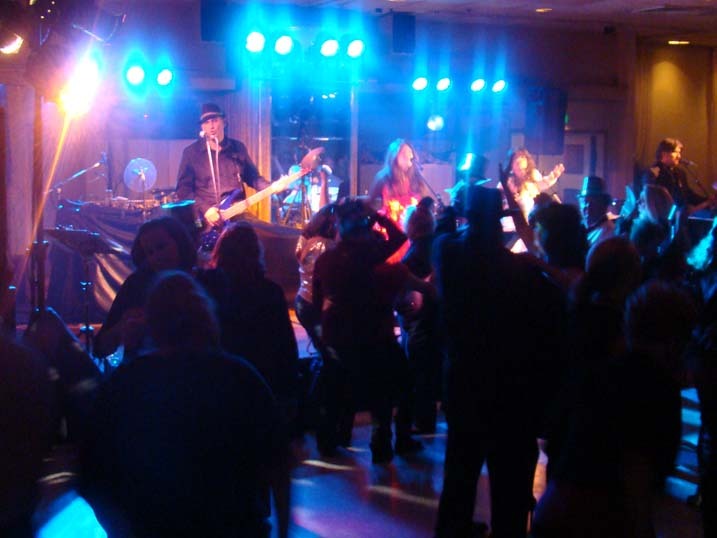 Oracle Band News and Information: New Years Party Location Confirmed - We're Back To La Fontaine Bleue!!! New Years Party Location Confirmed - We're Back To La Fontaine Bleue!!! That's right...it's official. Oracle is scheduled to return to La Fontaine Bleue for the 2011-2012 New Years Celebration on Saturday, December 31, 2011! Last year's event, (or was it THIS year's event...it's so confusing sometimes), was an unqualified success. Over 700 people came out but there was still PLENTY of room on the dance floor. ﻿﻿﻿ Then there was the food. Wow! We don't have the details for the menu just yet...hey...the ink is barely dry on the contract. But, based on last year's seafood buffet feast, it is going to be incredible. Of course we'll be having an open bar, champagne at midnight, and breakfast at 1:00, so it will be a full package. This year is great in that New Years Eve falls on a Saturday, so EVERYONE will be able to have plenty of time to get rested up and gussied up to be ready to welcome 2012. We'll keep everyone up to speed as to when tickets will be available and how much they are going to cost. We just wanted to make sure that everyone that had such a great time lest year know that we ARE returning. We'd like to thank the management and staff at La Fontaine Bleue for the wonderful treatment they have accorded us, and for their faith in the band and our fans to make for a fun filled evening. We'll see you on NYE!! !